In brief: Prime Rib. Happy Face. It's pretty strange to me that we are a good ways into October and still eating lunch outside, but no complaining here! 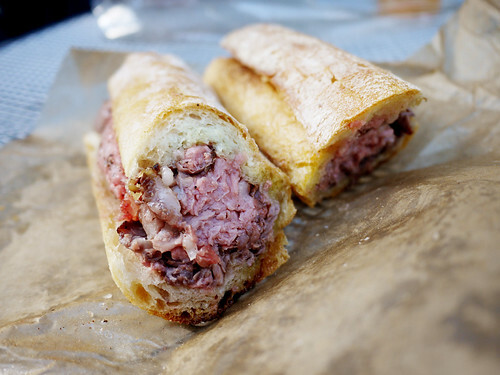 Especially not if it means a prime rib sandwich from Eataly and an outdoor table in the bright sunshine.